You’d be amazed how common gum disease is in Ireland. It happens as a result of neglect of dental hygiene; food and drink choices; some medications – there are a number of causes, but they all have the same result – weak, painful gums. Treatment and care of the gums is called ‘periodontics’, and at Smile Store – Your Local Dental Specialists, we can provide you with the prevention, diagnosis, and treatment of periodontal disease. 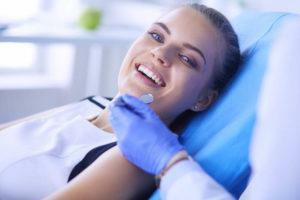 Periodontics also involves the treatment of oral inflammation, so you don’t have to live in pain or risk losing your teeth to unchecked gum disease. Severe gum disease can be as a result of a complex medical history; infection or long-term neglect. During your initial consultation, an extensive history is taken to determine the cause of your gum problems, and it’s important to tell us if you are taking medication or being treated for conditions that can affect periodontal care, such as heart disease, diabetes, or pregnancy. We’ll examine the gums, checks to see if there is any gum line recession, assesses how the teeth fit together when biting, and checks the teeth to see if any are loose. We’ll use a small measuring instrument called a probe and place it between the teeth and gums to determine the depth of those spaces, known as periodontal pockets; this helps us assess the health of the gums. X-rays may also be taken to observe the health of the bone below the gum line. Periodontal (gum) diseases, including gingivitis and periodontitis, are serious infections affecting one or more teeth. They are painful, causing inflammation and swelling, and make it difficult to eat or chew properly. If they are left untreated, gum diseases can lead to tooth loss. Plaque is the yellowy film that builds up on teeth, and it’s full of bacteria. If your dental hygiene is poor, this accumulation of bacteria can casue the gums to become inflamed- this initial inflammation is known as gingivitis. Gingivitis has some obvious symptoms-red, swollen gums that bleed easily. If you see blood when you brush your teeth, call your dentist. Gingivitis is reversible with a good professional treatment, but you must follow that up with regular, careful oral care at home! If you ignore gingivitis, it can progress to the more serious periodontitis. There are a number of different types of periodontitis; all of which affect the tissues that support the teeth. If you still don’t do anything about your worsening condition, you may be in big trouble, because as periodontitis continues unchecked the bone that anchors the teeth in your jaw gets eaten away. This makes your teeth loose and they may well start to fall out. As a general rule, terrible dental hygiene and unchecked bacterial plaque are the main cause of periodontal disease, but other factors such as smoking, medications, chronic disease like diabetes, stress, pregnancy and nutritional deficiencies can all play a part. If you suffer from symptoms such as bleeding gums, bad breath, bad taste, pus around the gums, loose teeth or pain, you have a problem! Visit your general dentist, or come directly to Smile Store – Your Local Dental Specialists for more comprehensive treatment options. Some patients’ periodontal needs can be managed by the general dentist. However, most Irish dentists will refer a complex case to a specialist, and we can treat it. The general thinking is that many patients who exhibit signs of severe periodontal disease also display other signs of chronic ageing and in some cases other chronic diseases. Scaling and root planing is a careful cleaning of the root surfaces to remove plaque and calculus (tartar) from deep periodontal pockets and to smooth the tooth root to remove bacterial toxins. This may be sufficient to address the problem, but if after a follow-up assessment you still have gum issues, you may need periodontal surgery. This may involve lifting the gum tissue back off the tooth and removing the disease-causing bacteria before securing the tissue back into place. In some cases, irregular surfaces of the damaged bone are smoothed to reduce the areas where bacteria can hide. Periodontal surgery combined with good daily oral hygiene and regular dental visits will increase your chances of keeping your natural teeth. When it comes to the health of your gums, the key is prevention of any kind of gum disease in the first place. Gums are soft tissue, so are very vulnerable. If you take good care of them and ensure your teeth and mouths are cleaned regularly, you can prevent the kind of plaque build-up that causes trouble in the first place.